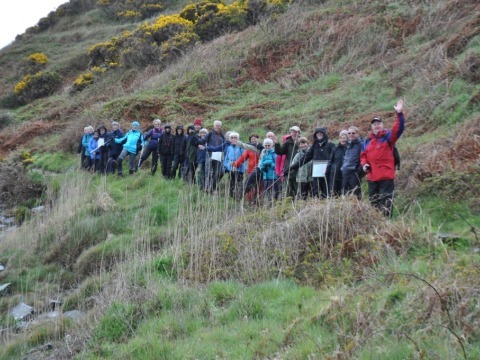 Sunday September 29th – October 4th If you enjoy walking, you’ll love Walk the Isle of Man! Whether you are a seasoned hiker who knows the Island well, or you are travelling to the Island for the first time to experience our magnificent landscapes and spectacular coastlines, Walk the Isle of Man promises a feast of sights and sounds, experiences and adventures, to treasure forever... Read More Details..
Wanna go for a ride? How about a bit of a grand tour? No, nothing to do with Jeremy Clarkson! The ones we are talking about are two-... Read More Details.. If you love looking up in wonderment at the night sky, then there’s no better place to marvel at the stars than the Isle of Man in the e... Read More Details..
For over a century, the tarmac roads of the Isle of Man have been famous for the part they’ve played in epic motorsport action. Apar... Read More Details.. It is with great regret that we have to announce the cancellation of the 2018 Rally Isle of Man. This clearly has been a decision that w... Read More Details..
It’s out with the old and in with the new! If you’ve recently popped by our Onchan premises, you may have noticed a big change to our ... Read More Details..